New in 2018, this is a deconstructed version of that retro dessert Lemon Meringue Pie. The only thing we left out was the pastry. 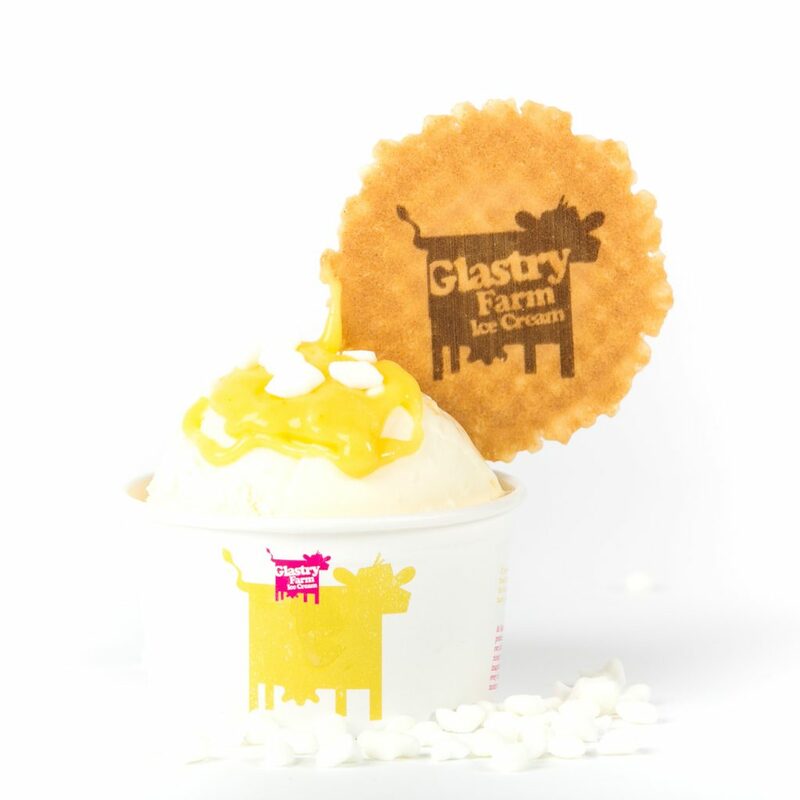 There is zesty lemon ice-cream drizzled with Alice McIhagger’s dreamy lemon and lime curd and shards of crunchy meringue. Why not put it in bought pastry cases for dinner parties? We won’t tell. There is a dairy farm on the Ards Peninsula in Northern Ireland which has been home to the Taylor family since 1856. It is called Glastry Farm.